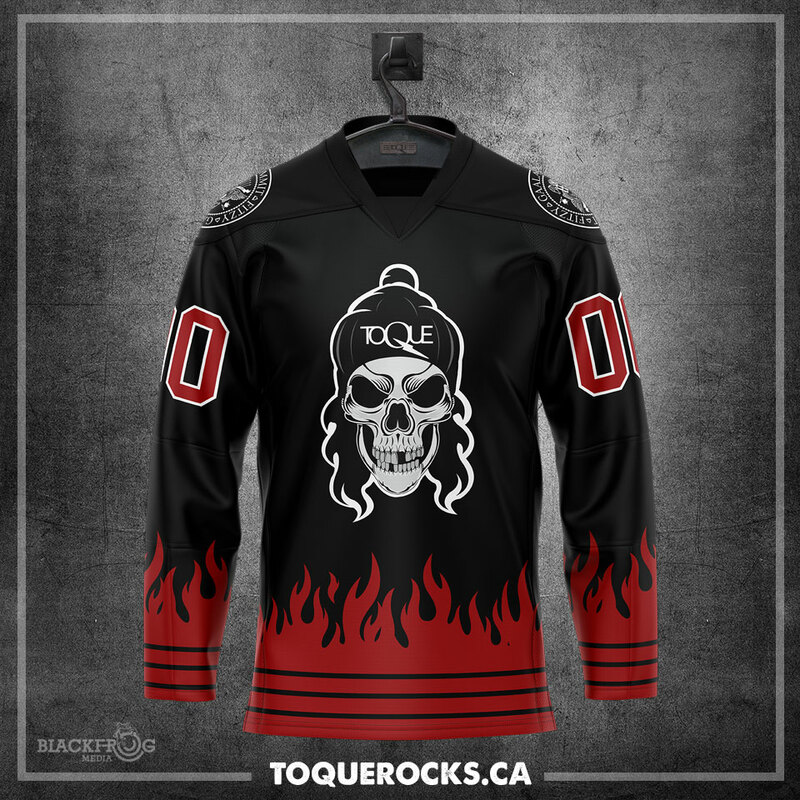 As worn on stage….The official Toque Hockey Jersey!!! CUSTOMIZE WITH YOUR NAME & NUMBER! NOTE: THIS IS A PRESALE !!!! We will open an order window for a brief period and Orders will be shipped in approx 4 – 6 weeks. This is a custom made to order item. There will be no refunds, returns or exchanges. Please make sure to double check the spelling & number. The jersey will contain the exact spelling as shown here. We can not be responsible for spelling errors.